MY FIANCE WANTS OUR BTO FLAT TO BE HELLO KITTY THEME OR SHE NEVER TALK TO ME AGAIN! You are at:Home»Entertainment»Fashion»MY FIANCE WANTS OUR BTO FLAT TO BE HELLO KITTY THEME OR SHE NEVER TALK TO ME AGAIN! What should I do? 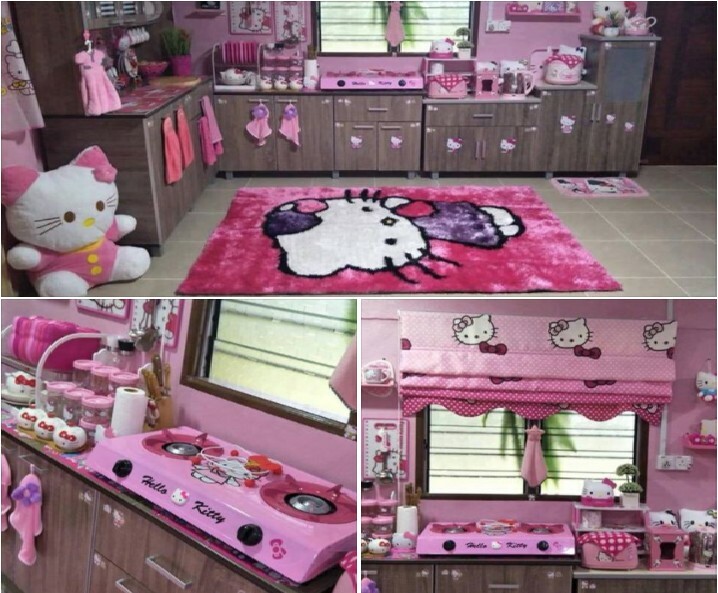 I thought my fiance was joking when she told the other time that she wanted a hello kitty theme kitchen! But she managed a picture as shown above and she was dead serious about! I really enjoy cooking and the kitchen is a sanctuary for me I was hoping to be about to make it into a Gordon Ramsay theme like kitchen but she wants hello kitty one! Next Article SG MOM SHARE WHY IT ALWAYS THE BEST TO SEEK FOR HELP WHEN YOUR DEPRESSED!